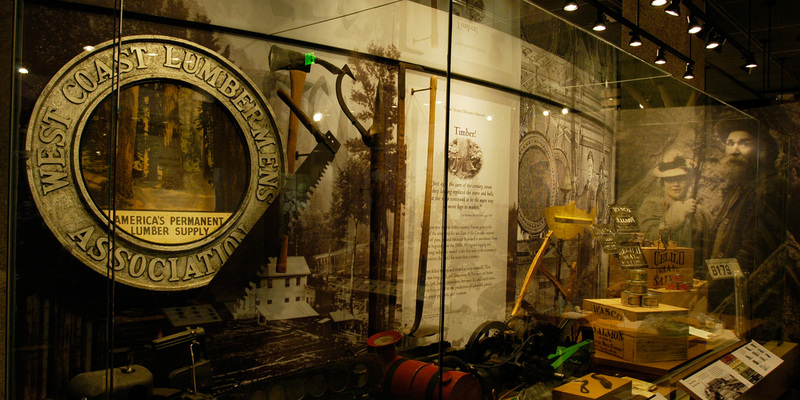 Oregon Historical Society Museum | Oregon Yours Mine Ours | André & Associates Interpretation and Design Ltd. 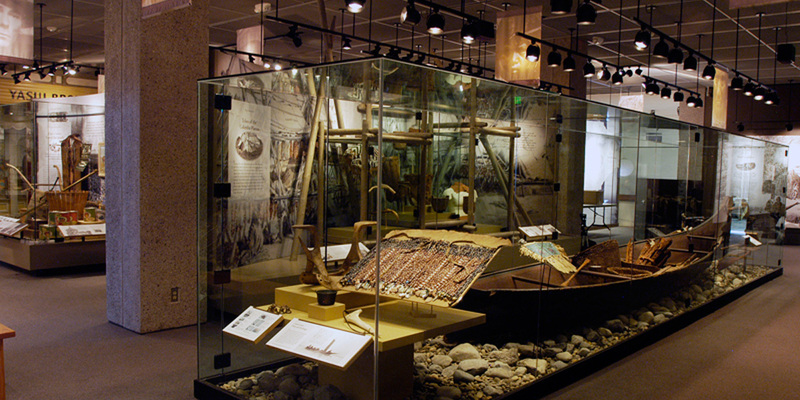 Interpretive Planning, Conceptual, Schematic and Detailed Design, Fabrication and Installation supervision. 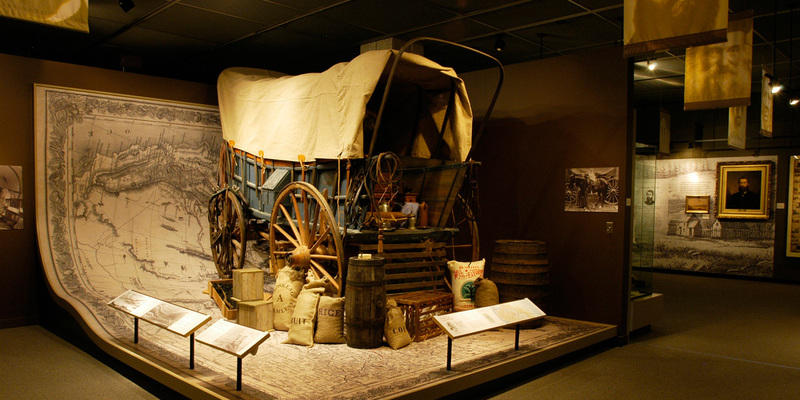 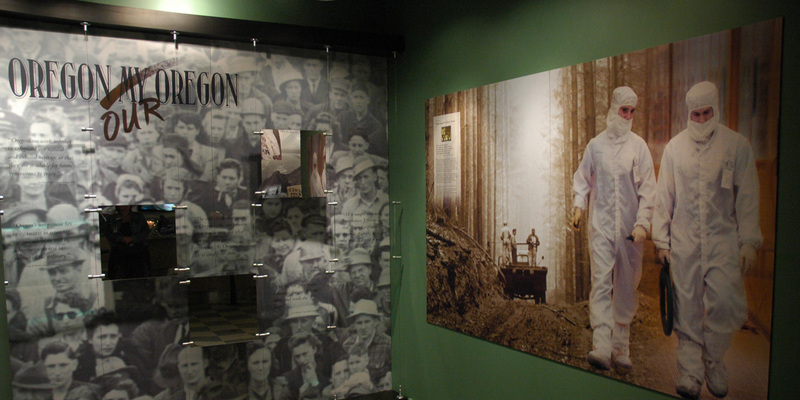 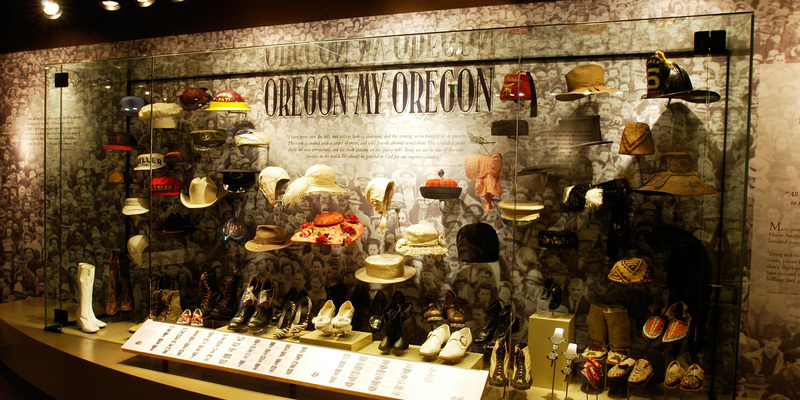 Oregon Yours Mine Ours is composed of twelve sections with more than 50 separate displays that tell the story of Oregon with artifacts, artwork, photographs, documents, audio visual presentations, and hands-on displays for children. 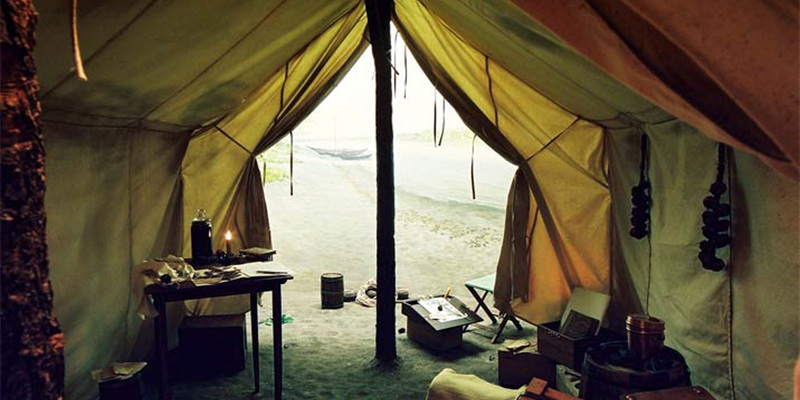 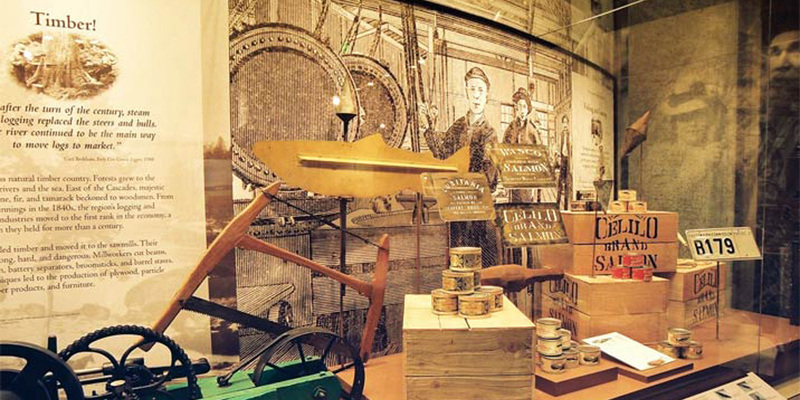 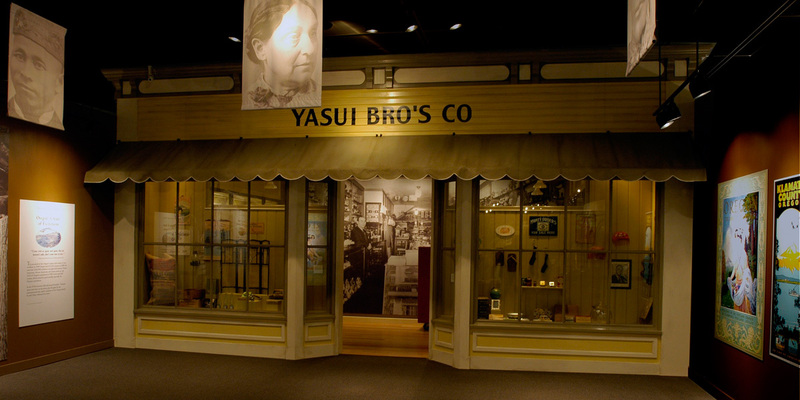 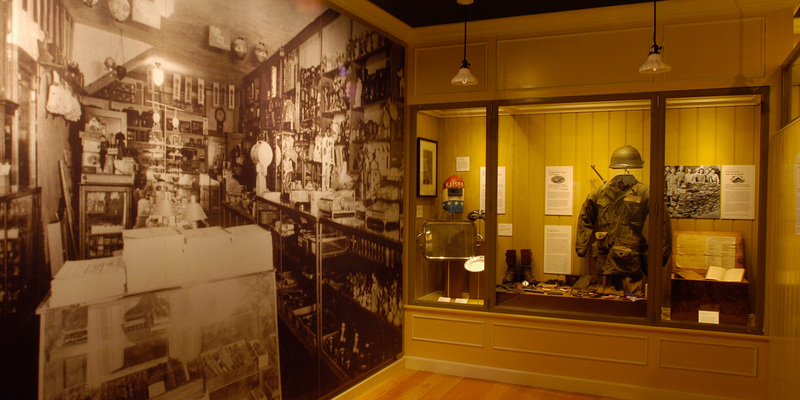 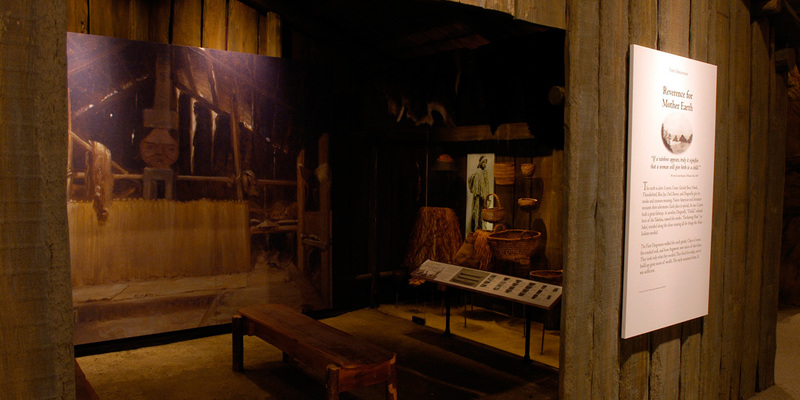 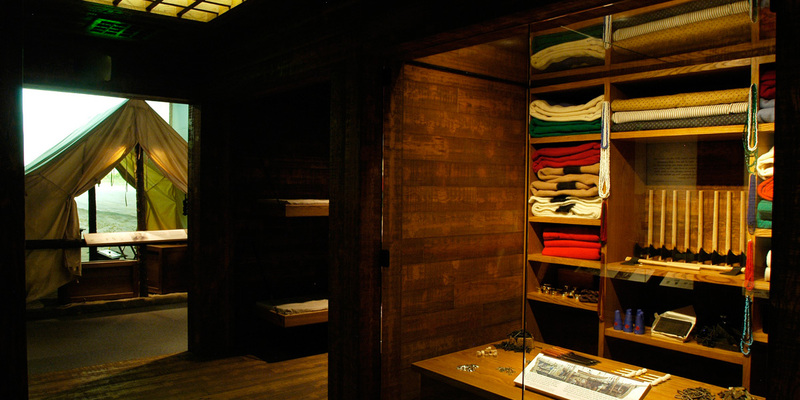 Our design features large showcases containing numerous artifacts and images: recreations of naturalist David Douglas’ camp on Sauvie Island; a Hudson’s Bay Company trade ship with cargo, and the Yasui Brothers Japanese storefront. 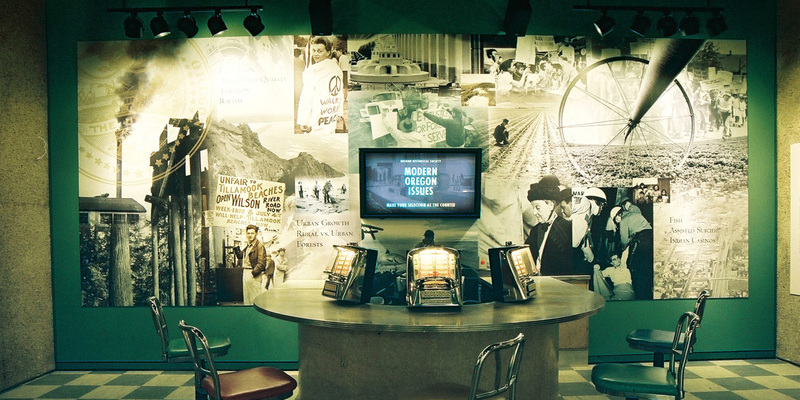 The conclusion gallery features an award-winning interactive media presentation on contemporary Oregon issues set in a 1950’s era coffee shop. 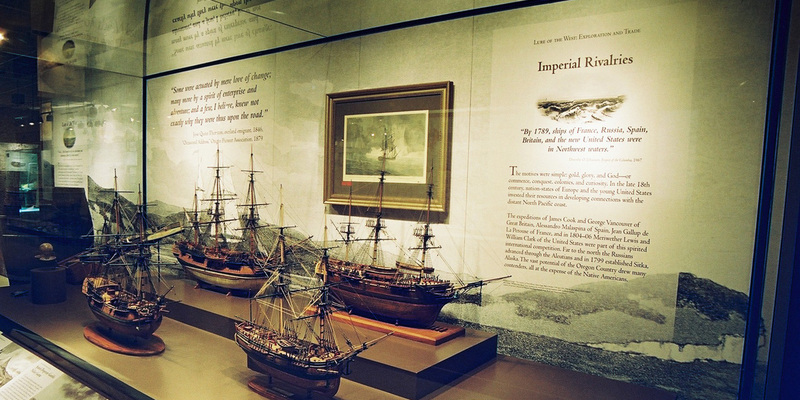 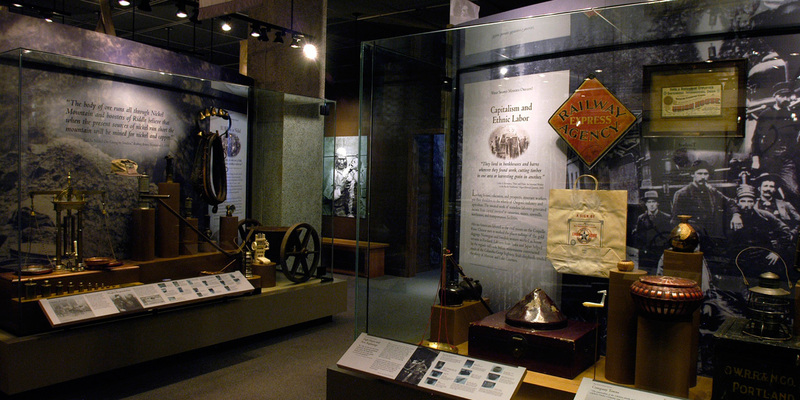 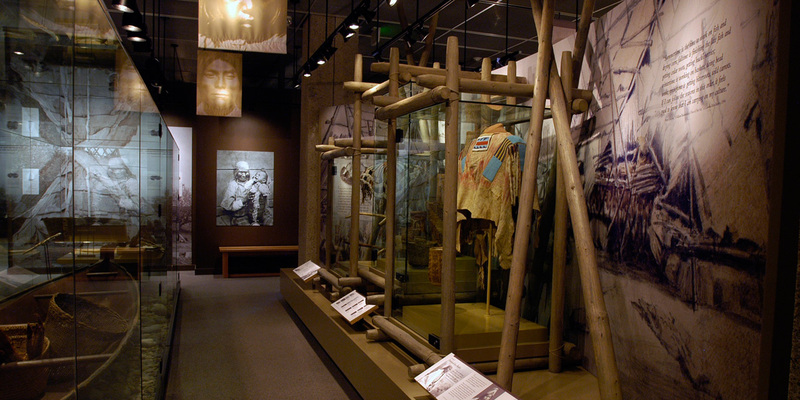 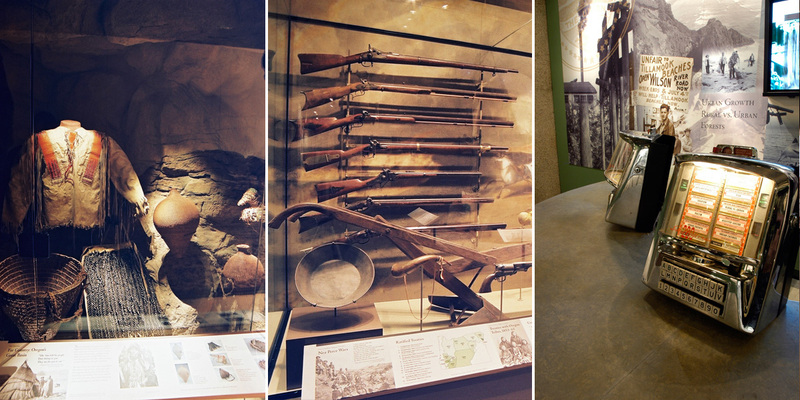 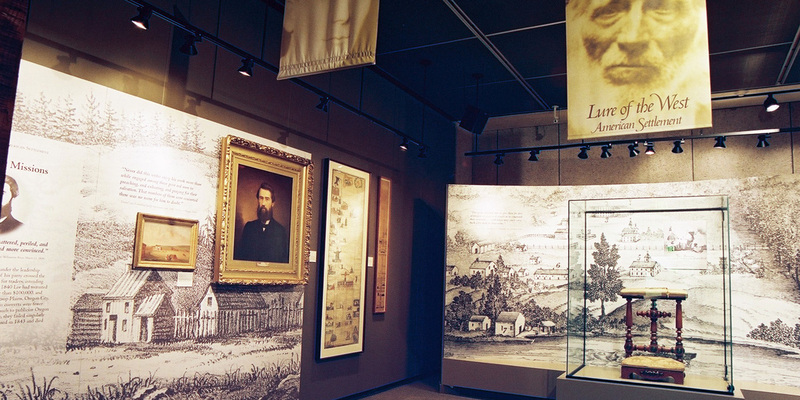 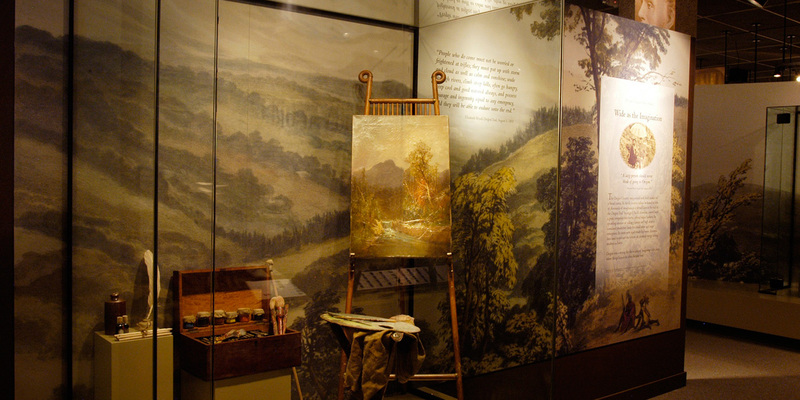 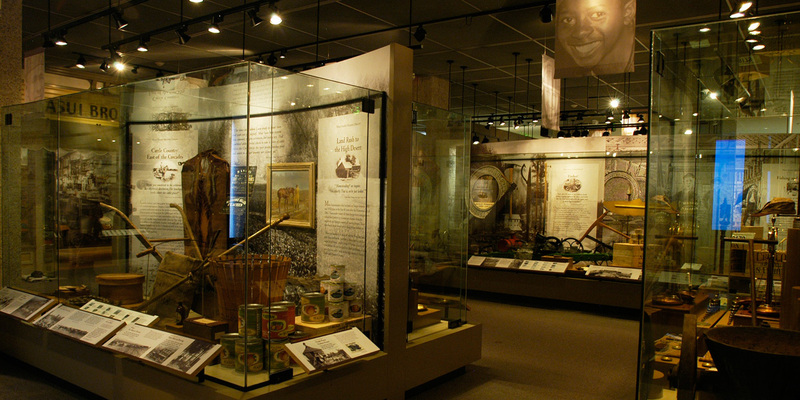 This exhibit also won the 2005 Award of Merit from the American Association for State and Local History.